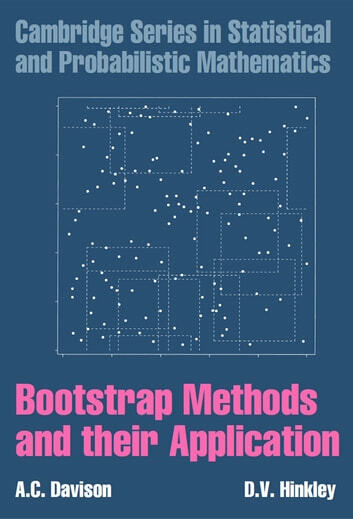 Bootstrap methods are computer-intensive methods of statistical analysis, which use simulation to calculate standard errors, confidence intervals, and significance tests. The methods apply for any level of modelling, and so can be used for fully parametric, semiparametric, and completely nonparametric analysis. 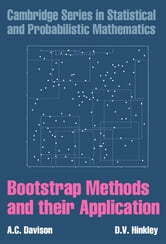 This 1997 book gives a broad and up-to-date coverage of bootstrap methods, with numerous applied examples, developed in a coherent way with the necessary theoretical basis. Applications include stratified data; finite populations; censored and missing data; linear, nonlinear, and smooth regression models; classification; time series and spatial problems. Special features of the book include: extensive discussion of significance tests and confidence intervals; material on various diagnostic methods; and methods for efficient computation, including improved Monte Carlo simulation. Each chapter includes both practical and theoretical exercises. S-Plus programs for implementing the methods described in the text are available from the supporting website.